Yeah, yeah, I know a few Bordeaux and Burgundy producers as well as somms and bloggers who will take issue with what I am about to say, but this is so true. I have tasted nearly every vintage of Silver Oak since the winery was founded in 1972 to be honest, I have not loved everything that they have done. I had to work through their formative decade in the ‘70’s as they, along with the rest of the wine world, attempted to grow beyond their respective neighborhoods. Now as we have reached the 10th vintage of the current decade, there is no question that Silver Oak Cellars has taken center stage on the prestigious platform of most important wines in the world. Tomorrow, Saturday, February 7th, the winery is celebrating “Silver Oak 2010 Napa Valley Release Day.” Wine lovers worldwide have been looking forward and will not even be deterred by the rainfall that has been predicted. It will be a day of incredible fun that rivals Super Bowl Sunday for football fans. Incredible ambiance, some of the country’s best chefs and the main event- the 2010 Silver Oak Napa Valley Cabernet Sauvignon – will all be on stage for the wine world to experience. You may be wondering, how did this happen? From the beginning, Silver Oak Cellar focused on perfecting Cabernet Sauvignon, one of the wine world’s most magnificent wine grapes. From that focus, they have turned into an industry icon. This was a process, like any business project. Target, focus and execution are the key elements that brought them to this pinnacle. The family knew the formula of producing the perfect depiction of an Alexander Valley and a Napa Valley Cabernet and they understood what the vineyards could produce and the flavors that would best represent those respected AVA’s. This is not to say that they have arrived for no one survives in the long term by resting on their laurels. When I meet with the Silver Oak team, I never get the feeling that they are satisfied. There is a reason why the winery’s annual Napa Valley Release Day is always sold out. 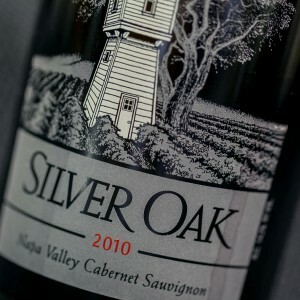 Silver Oak Cellars may have mastery within the wine universe, but they continue to get better. The 2010 Silver Oak Cellars Napa Valley Cabernet is rock solid. Shows elements of red and black fruit, with an accent of dried herbs and dust, at this youthful stage the oak is in the forefront. In time, this wine will settle down and be a really fine and classic drinking Cabernet. The wine world is full of opinions, but I defy anyone to say that they don’t enjoy a Silver Oak Cabernet. Silver Oak Cellars by any measurement is one of the world’s greatest Cabernet producers! Silver Oak Cabernet Sauvignon is a time-tested treat!